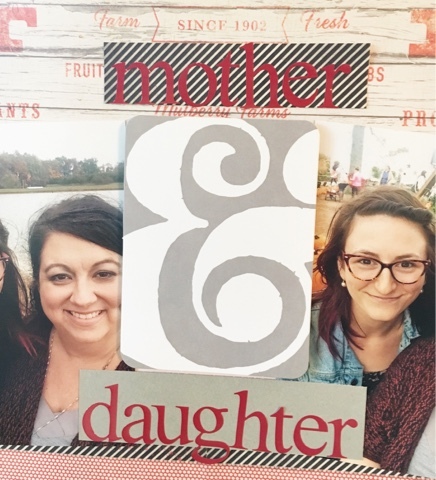 Living a Lowder Life: Sharing a layout - "Mother and Daughter"
Sharing a layout - "Mother and Daughter"
This rainy Monday morning, I thought I'd share with you a layout I made early in the summer about how Kelsey and I are alike. (I don't think ice shared this before - my apologies if I have.) In this first pic, you can see the title treatment I chose - sticker letters connected by a popped up PL style card. These next two photos showcase the list style journaling I used to tell about our similarities. Notice that I used the open style wood veneer hearts to point to each new similarity. And here's the list Kelsey made for me about our similarities. 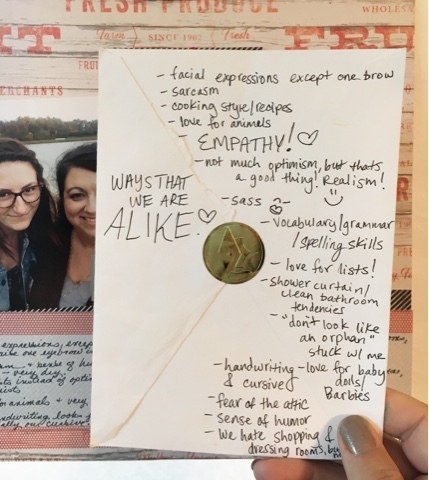 I love that it's in her handwriting and on the back of an old envelope. We were out to dinner together , and I was hounding her about making that list. To satisfy me, she asked for something out of my purse to write on, and this envelope was what I had. 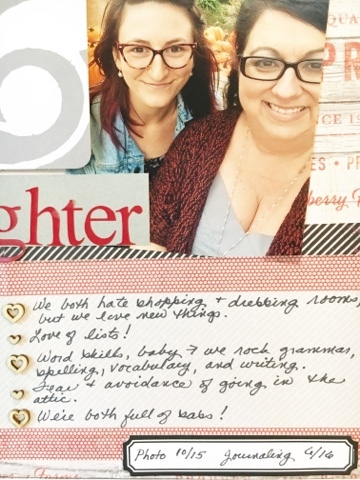 I'm thinking about adhering this to the back of the layout since it's in her writing. And here's the finished layout in its entirety. This is a story I'm really glad I've scrapbooks, and I'm pleased with the finished page too! 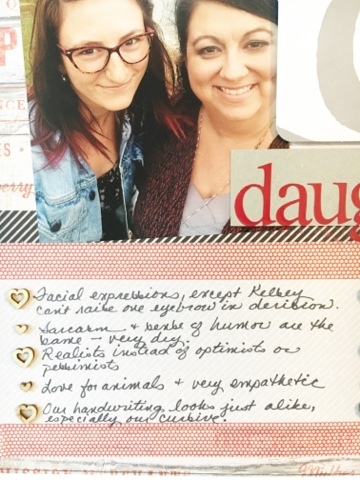 This is a wonderful page and I love that you got Kelsey to make up her list. 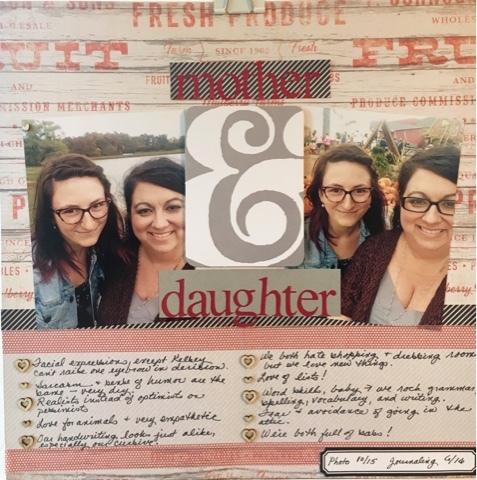 You've inspired me to make something similar with my two daughters. yay for sass, realism, empathy, & love for the animals. actually yay for your relationship. the writing on the back of the envelope is awesome.